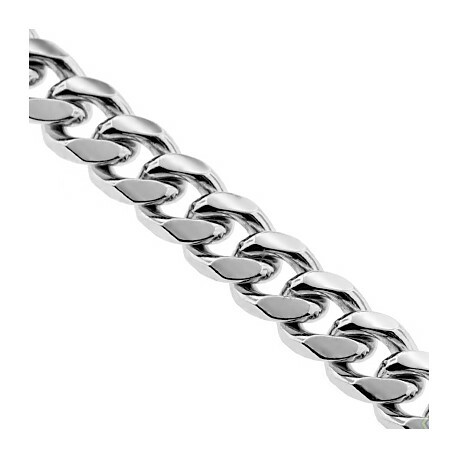 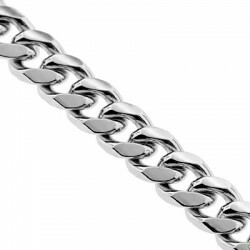 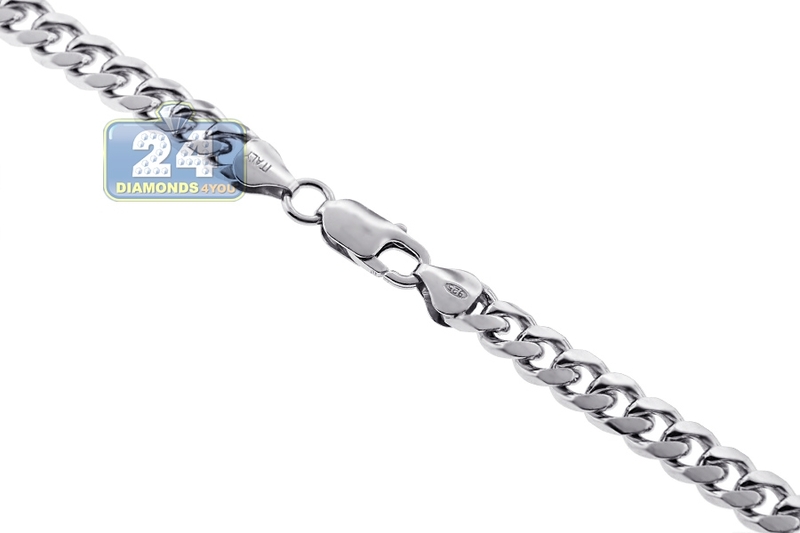 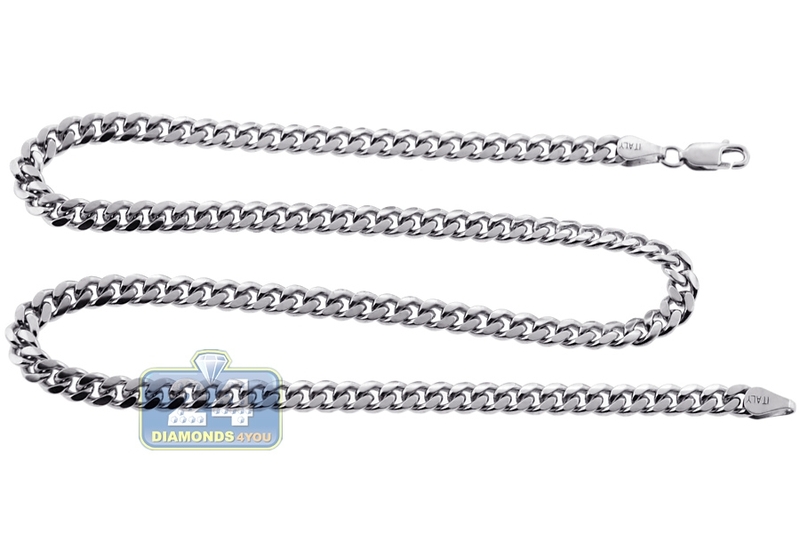 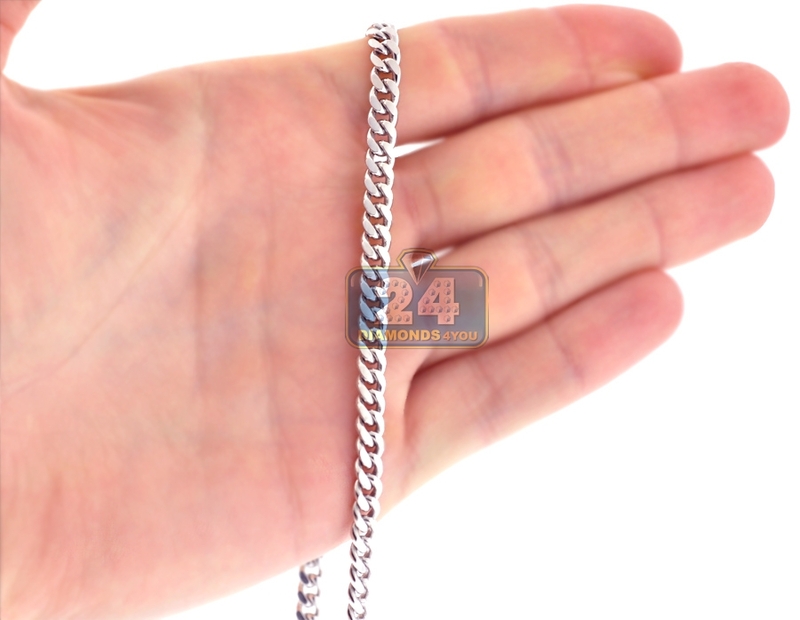 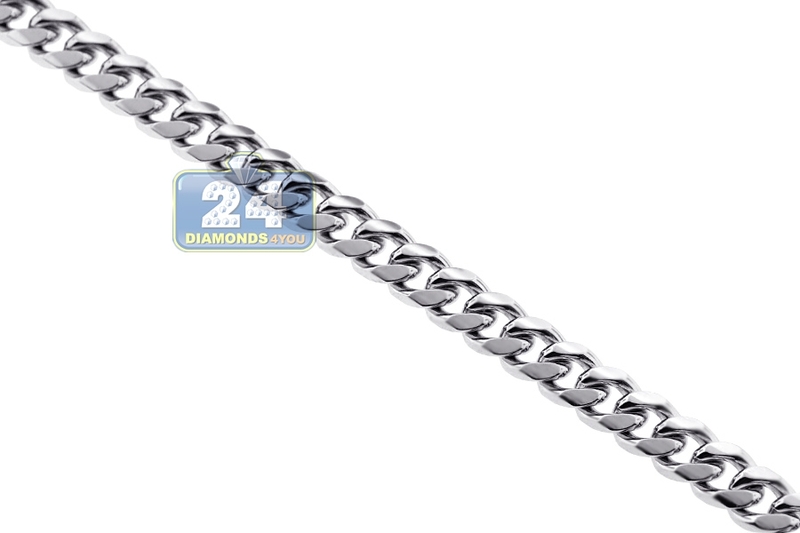 Light up your evening wearing our durable italian cuban link chain! 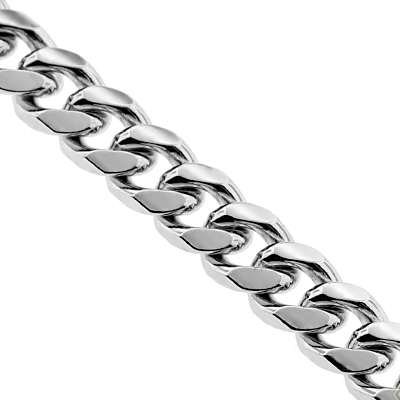 It is professionally handmade of 925 sterling silver, and covered with white rhodium that helps prevent tarnishing and gives a bright color. 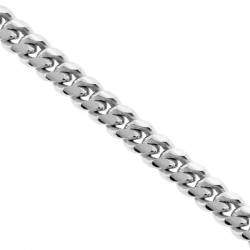 This piece of jewelry measures 5 mm in width, 18-36 inches in length; and secures with a safe and user-friendly lobster claw clasp. 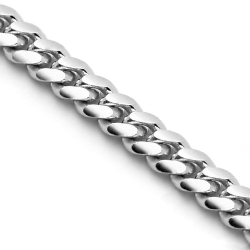 Irreplaceable addition to your chain collection! 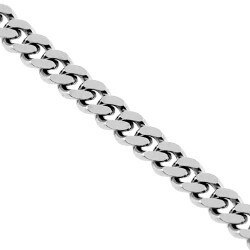 Lovin' feel and look of it. 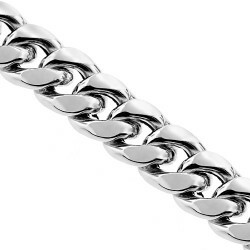 Worth the $$$.